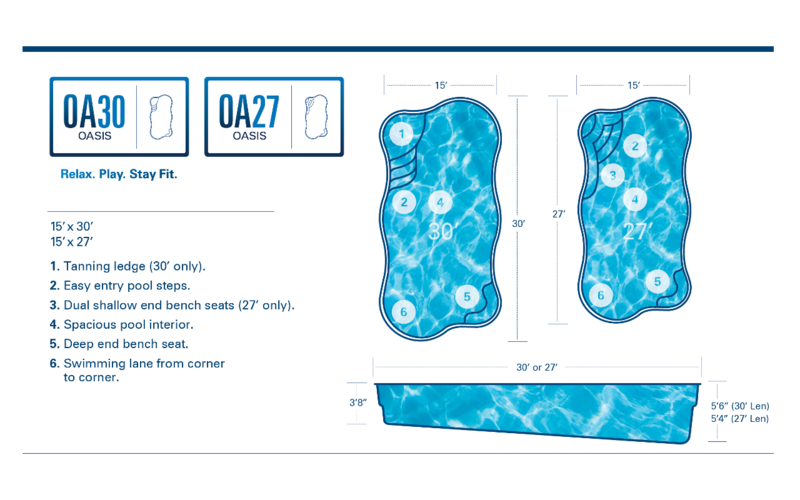 Striking the ideal balance between curve appeal and swim space, the Oasis packs big pool features into a mid-size package making it one of our most popular designs. The Oasis 30 tanning shelf provides room to kick back and immerse yourself in a good book and catch some rays. Optional bubblers and umbrella stand available upon request. 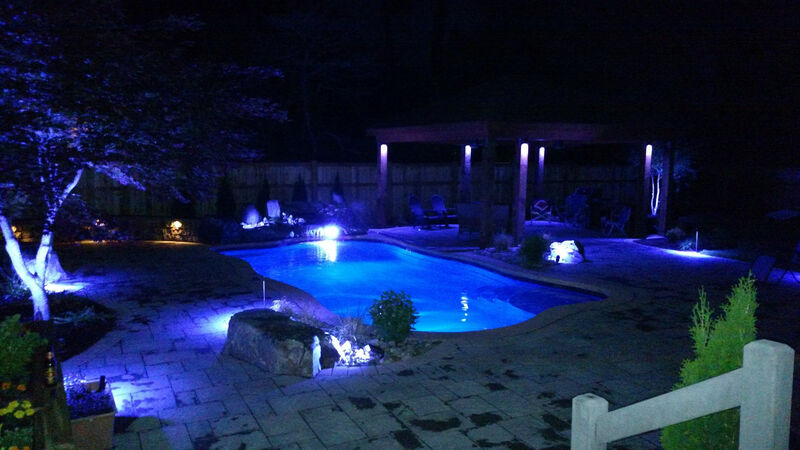 The cascading steps of the Oasis are specially designed to easily enter and exit the pool. 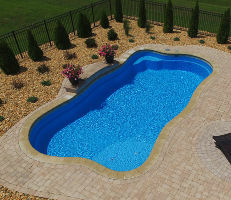 The Oasis is perhaps the most spacious freeform fiberglass pool design in it's class on the market today. 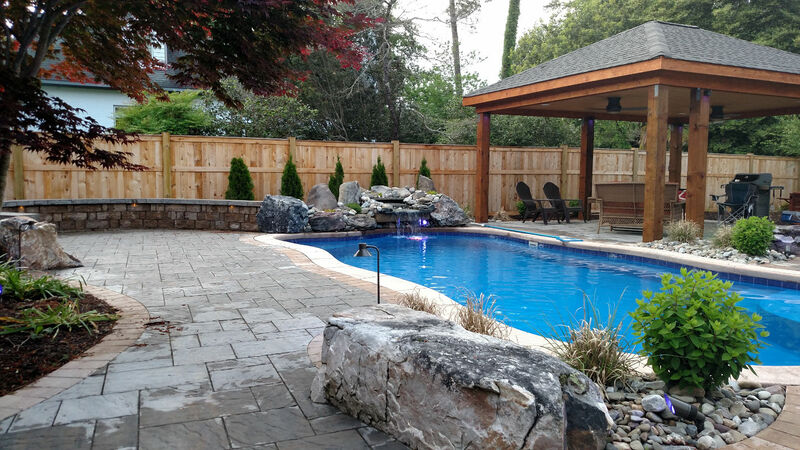 With your safety in mind, the all Oasis pools have hand-crafted, non-skid texture integrated into the surfaces of the ledge, steps, and pool floor.